It's been sometime since I treated myself to any new beauty bits, mainly because i'm trying to save as much money as I can and because I already have enough beauty products to see me through, but it's nice to dream isn't it! I thought i'd put together a wish list style post, as I haven't in a while and I love reading this style of posts! At the moment i'm having a moment with eyeshadows, so i'm lusting over so many palettes and i'm wanting to splurge on all the latest releases! Ever since Urban Decay released their Naked Heat Palette (£39.50) and seeing all of the reviews, i've never wanted a palette so bad! 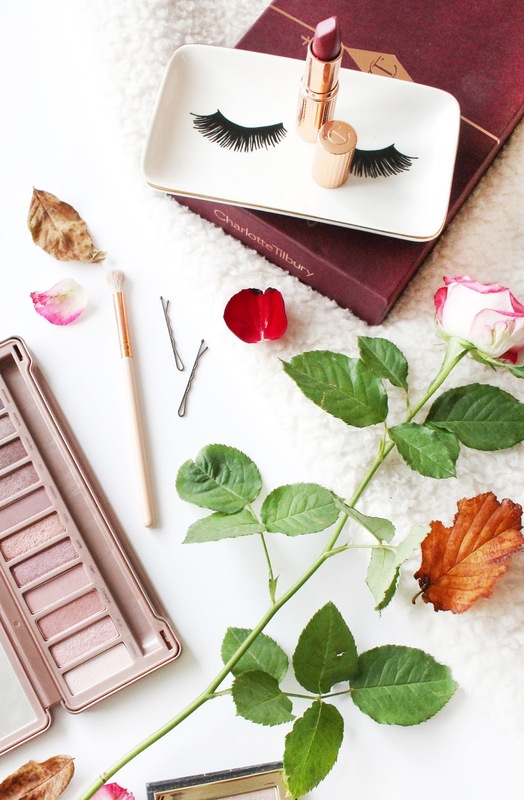 The warm tones are just stunning and so perfect for all the autumnal eye looks! Another palette that has left me stunned after swatching my friends is the Anastasia Beverly Hills Modern Renaissance Palette (£43) of which is absolutely stunning and is probably top of the palette list right now! Finally for palettes comes the latest Charlotte Tilbury Instant Eye Palette (£60), which is probably the most expensive palette on my list ever but it is absolutely stunning and all of the shades are right up my street! One release this year that has gotten everyone talking has been Fenty Beauty, so of course i've got a couple of bits on my wish list. Starting off with the Fenty Beauty Pro Filt'r Foundation (£26) of which i've wanted to try for a little while, but after reading some reviews i'm definitely going to need to get myself a tester of this before fully committing to purchasing this! Another product from the range that i've been swooning over is of course the Fenty Beauty Killawatt Highlight Duo (£26) which is an absolutely stunning highlighter, and if I ever get the chance to swatch this best believe I won't be leaving the store without it! Onto few random bits that i've seen a lot of bloggers talking about recently and have made me want to see what they're all about, and have since made it onto my list. The Urban Decay Trouble Maker Mascara (£19.50) which I mean the packaging itself is enough to make you want it, but from the reviews i've read what is in the tube is amazing. Another product is the Nars Creamy Concealer (£24) which i've wanted to try for years, but is a product i've never had the opportunity to swatch in person to figure out which is my perfect shade. Maybe one day i'll treat myself to this but for now i'll stick with my ever trusty concealers. Continuing on with my love for all things highlighters, the Becca Shimmering Skin Perfector (£32) is a favourite of mine but I want to try a few different shades of this because i've heard some amazing things and it will mean I can actually photograph one that isn't smashed to pieces! Finally on my wish list is a fragrance that I absolutely love and they've recently come out with a limited edition version of this fragrance of which I just need to get my hands on! This is of course the Giorgio Armani Si Nacre Sparkling Eau de Parfum (£99), which is essentially the signature Si scent but with a beautiful shimmer to the liquid that is just perfect for the festive period! What products are on your current beauty wish list?